Disgraced detective Sam Crane would do anything to help his comatose daughter recover. But when he's told to turn a blind eye to the murder of a reclusive scientist, he refuses, seeing his resolve as atonement for failing his family and his colleagues. Sam's determination to persevere endangers his friends, even as it reveals a secret sought by a deluded advertising magnate, a set of look-alike terrorists, and government agents: a way to alter the visible world. If only he could have seen the truth through his own eyes. 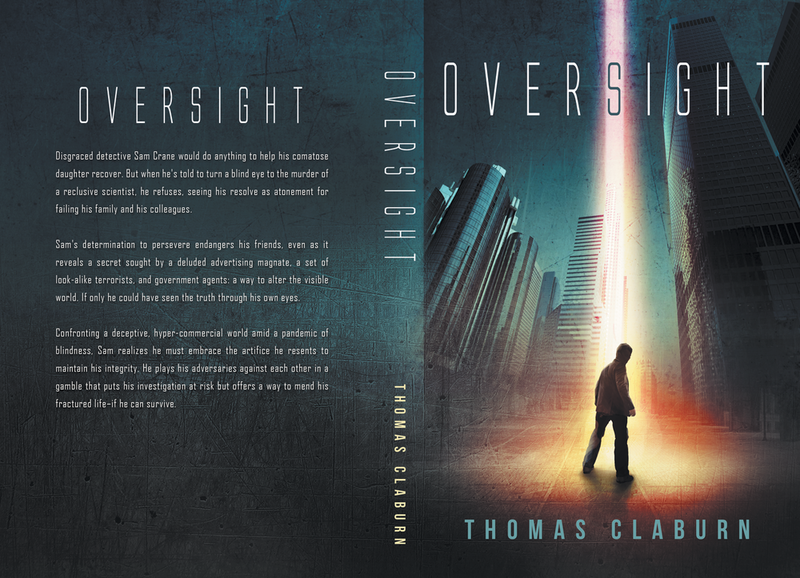 Confronting a deceptive, hyper-commercial world amid a pandemic of blindness, Sam realizes he must embrace the artifice he resents to maintain his integrity. He plays his adversaries against each other in a gamble that puts his investigation at risk but offers a way to mend his fractured life–if he can survive. "An invigorating sci-fi mystery that’s so plugged in it may leave readers’ brains buzzing." "The story is well written with language often becoming poetic before coming back to being candid and incisive. This was a short novel that hit all the right notes for me. "Claburn’s novel is all the more tense and frightening for feeling only one step away from today, a feeling relieved by Sam’s old-fashioned cynicism mixed with his willingness to do anything for his daughter. His deep emotions make him the most real and absorbing feature of this vivid story about a virtual world overloaded with real danger." Share your thoughts at Goodreads.